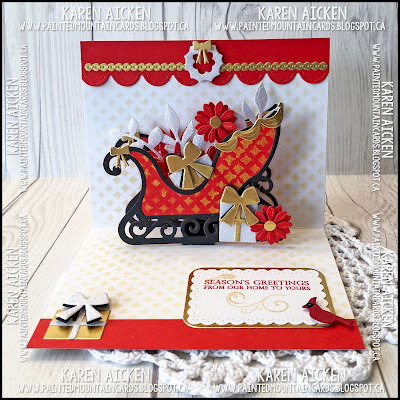 Welcome to Karen Burniston's December 2018 Designer Challenge, where the theme is: "INK IT!" - incorporate inks (or paints, or sprays, or pastes) into a card of any theme. 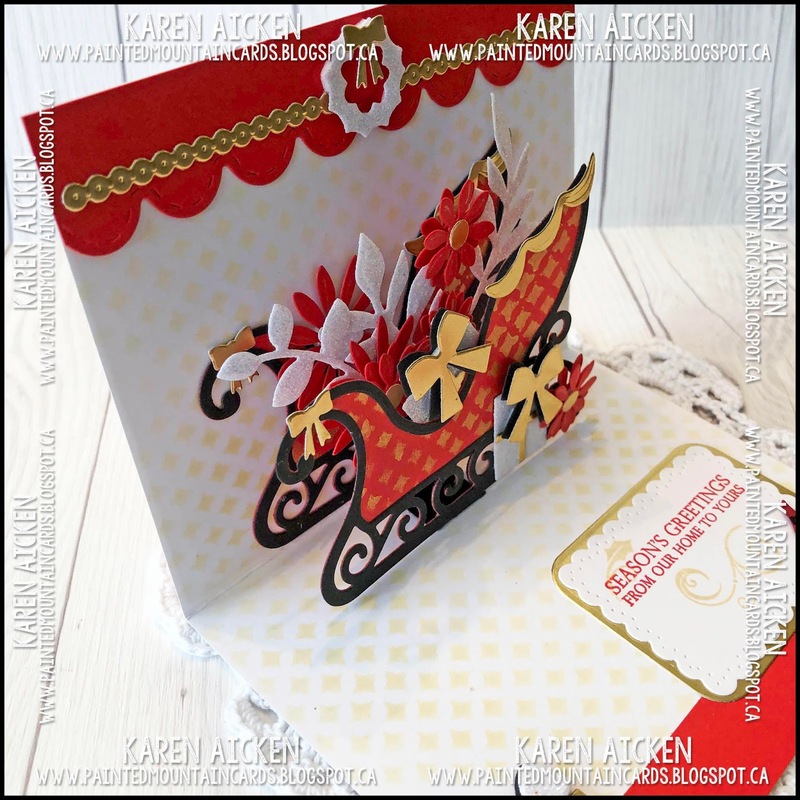 I didn't add any inking to the front of my card, instead using some of the same elements as I have inside the card to tie it all together. Both the Sprig and the layered flower are from the Flower Pot Pop-Up die sets, and the pretty scalloped element is from the Cake Trims. 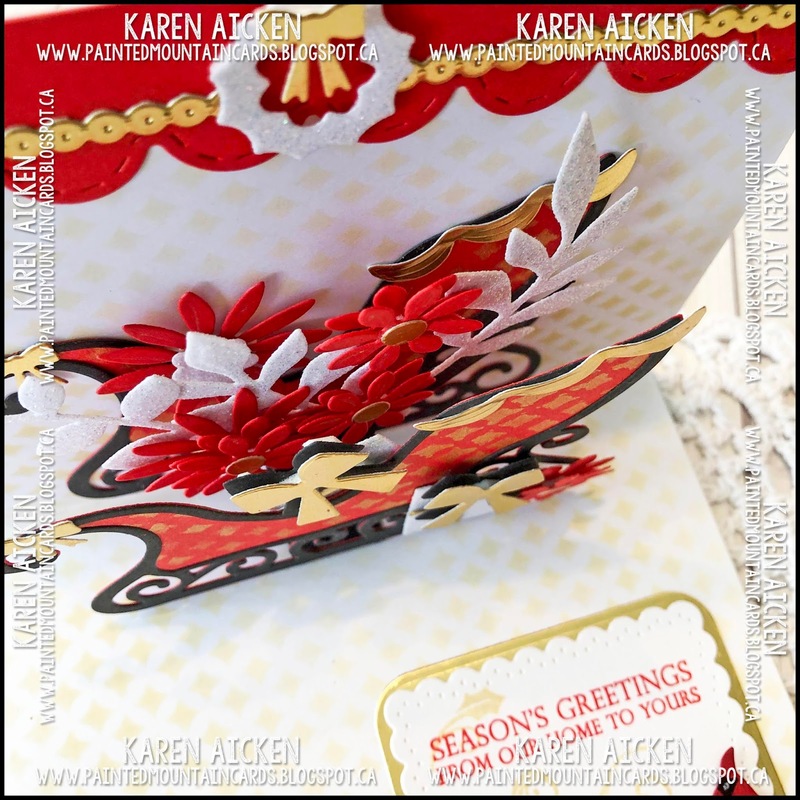 I use those a lot for different borders etc - love getting more mileage from my dies by using them in different ways. Inside I followed the assembly instructions Karen Burniston shared in her video to make the Sleigh into a 90º Pop-Up instead of a Pop-Stand. (Video linked at the end of the post). 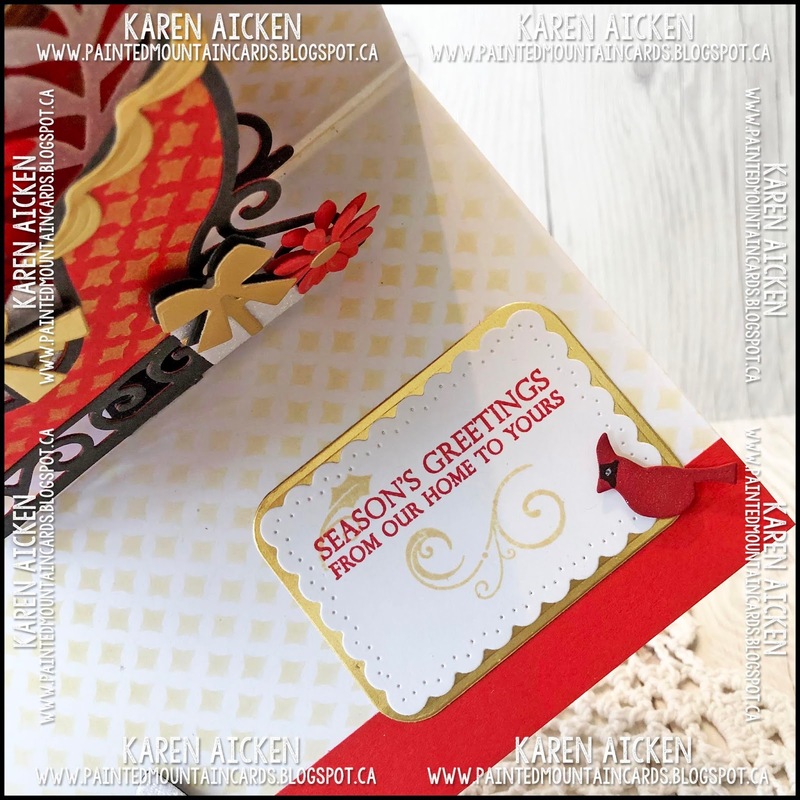 For the INKING part of the challenge, I used a stencil by Pink & Main, with gold shimmer paint on the sleigh, and Distress Oxide ink on the inner card. The sleigh is filled with sprigs, flowers and gifts! 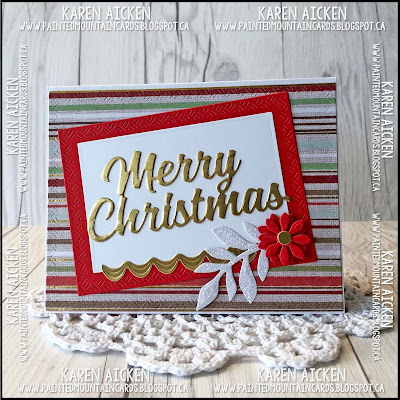 I used red card stock and the sparkle comes from the white glitter paper and gold foil card stock. 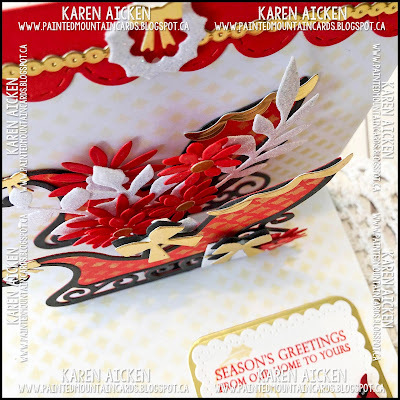 More Cake Trims inside (including the little bows) and the scalloped edge was cut with a die from the Tropical Scene. 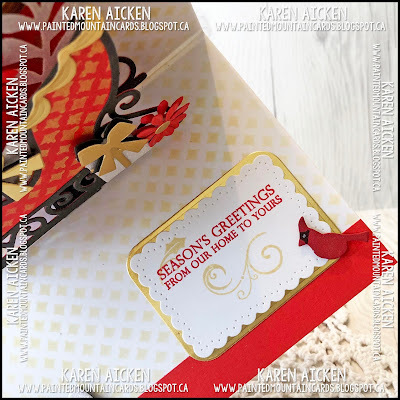 It's also fun to mix and match dies from all Karen Burniston's die sets - and my signing block was created using the scalloped rectangle from the Twist Panel Pop-Up with a cardinal from the Christmas Tree Pop-Up die sets. 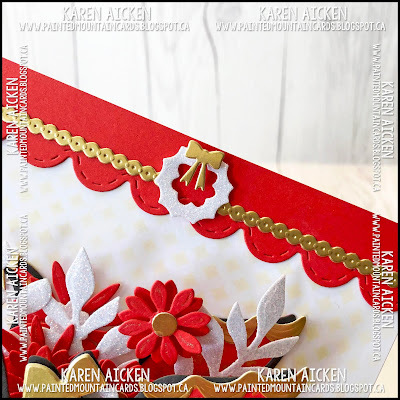 You can check out what the rest of the design team came up with for the challenge - their blogs are linked on the right. 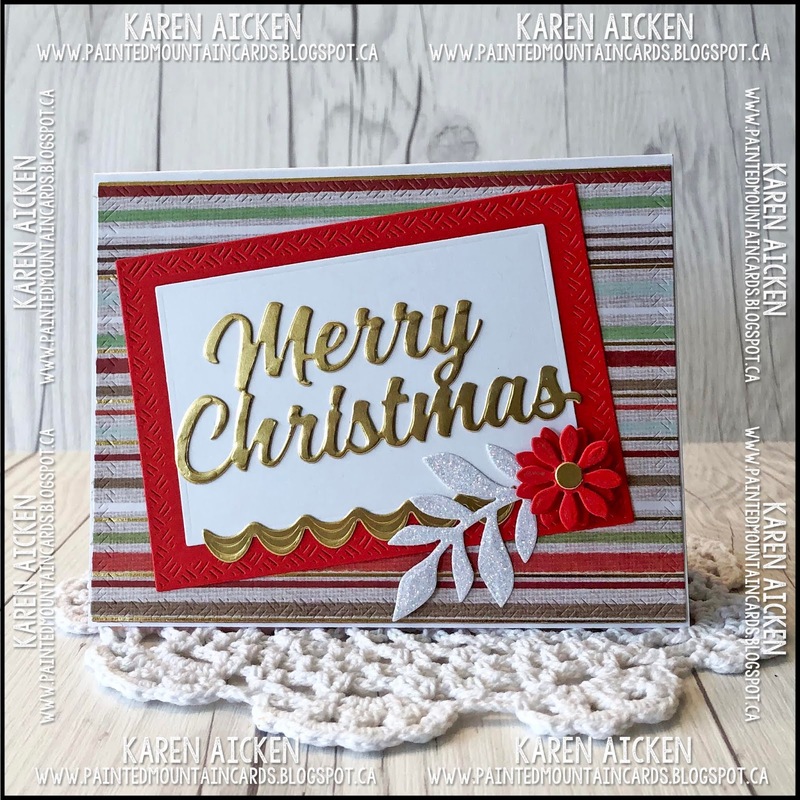 Karen Burniston will have a group post and her project tomorrow (Wednesday) on HER BLOG.